DALLAS (SMU) —The world’s fastest sprinters have unique gait features that account for their ability to achieve fast speeds, according to two new studies from Southern Methodist University, Dallas. The new findings indicate that the secret to elite sprinting speeds lies in the distinct limb dynamics sprinters use to elevate ground forces upon foot-ground impact. The new findings address a major performance question that has remained unanswered for more than a decade. Previous studies had established that faster runners attain faster speeds by hitting the ground more forcefully than other runners do in relation to their body weight. However, how faster runners are able to do this was fully unknown. That sparked considerable debate and uncertainty about the best strategies for athletes to enhance ground-force application and speed. The critical and distinctive gait features identified by the study’s authors occur as the lower limb approaches and impacts the ground, said study co-author and running mechanics expert Peter Weyand, director of the SMU Locomotor Performance Lab. The researchers reported their findings with co-author and physicist Laurence J. Ryan, research engineer for the SMU Locomotor Performance Laboratory in the Annette Caldwell Simmons School of Education & Human Development. 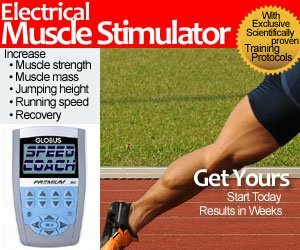 The finding that elite sprinters apply greater ground forces with a distinctive impact pattern is reported in the Journal of Applied Physiology in the article, “Are running speeds maximized with simple-spring stance mechanics?” It appears online at http://bit.ly/1Be92Mk in advance of appearing in the print journal. The finding that faster athletes deliver a firm, rapid punch to the ground upon contact is reported in The Journal of Experimental Biology, in the article “Foot speed, foot-strike and footwear: linking gait mechanics and running ground reaction forces.” It appears online at http://bit.ly/1uskM9v. The tests conducted at SMU’s Locomotor Performance Lab compared competitive sprinters to other fast-running athletes. The competitive sprinting group, http://bit.ly/VKQzX9, included track athletes who specialized in the 100- and 200-meter events. More than half had international experience and had participated in the Olympics and Track and Field World Championships. They were compared to a group of athletes that included competitive soccer, lacrosse and football players. All the athletes in both groups had mid- and fore-foot strike patterns. Their running mechanics were tested on a custom, high-speed force treadmill that allowed the researchers to capture and analyze hundreds of footfalls at precisely controlled speeds. Video captured for the studies is posted to the SMU Locomotor Performance Lab Youtube channel, http://bit.ly/1tBpGRN. Images on flickr are at http://bit.ly/YKwAtB. The researchers measured ground-force patterns over a full range of running speeds for each athlete from a jog to top sprinting speed. The contemporary view of running mechanics has been heavily influenced by the simple spring-mass model, a theory first formulated in the late 1980s. The spring-mass model assumes the legs work essentially like the compression spring of a pogo stick when in contact with the ground. In this theory, during running at a constant speed on level ground, the body falls down out of the air. Upon landing, the support leg acts like a pogo stick to catch the body and pop it back up in the air for the next step. It’s been generally assumed that this classic spring model applies to faster running speeds and faster athletes as well as to slower ones, http://bit.ly/1mJceGx. Clark, Ryan and Weyand questioned whether such a passive catch-and-rebound explanation could account for the greater ground forces widely understood as the reason why sprinters achieve faster speeds. After the researchers gathered ground reaction force waveform data, they found that sprinters differed from other athletes. From there they compared the waveforms to those predicted by the simple spring in the classic model. Weyand said the new findings indicate that the classic spring model is not sufficient for understanding the mechanical basis of sprint running performance. 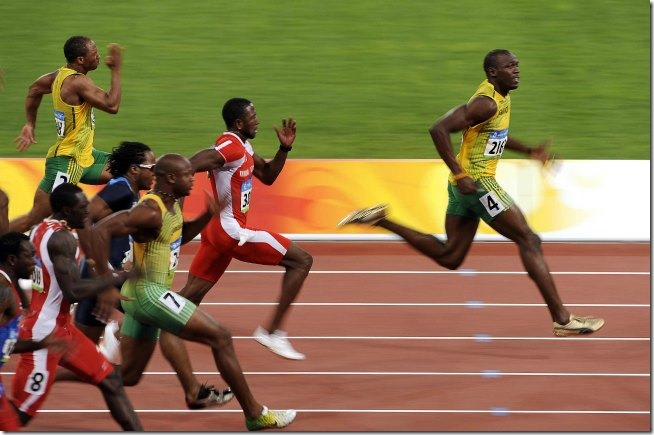 Sprinters have a common mechanical solution for speed — one that athletes who aren’t as fast do not execute. The research was funded by the U.S. Army Medical Research and Materiel Command and SMU’s Simmons School of Education and Human Development.